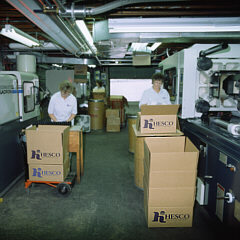 HESCO, Inc. employs state-of-the art injection molding and auxiliary equipment to manufacture quality plastic parts for a variety of businesses throughout the United States and abroad. 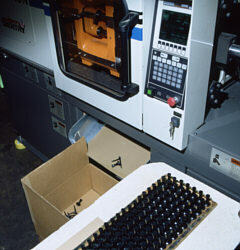 Our molding machines range in size from 55 to 220 ton, and we process a variety of commodity and engineering thermoplastic resins including ABS, acetal, acrylic, nylon, polycarbonate, polyethylene, polypropylene, polystyrene and polyurethane. 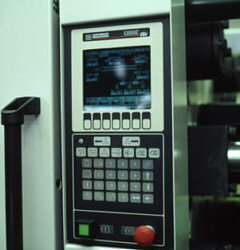 We are able to add further value to your products with engraving or hot stamping, and we can assemble parts using ultrasonic welding or staking, spin welding, or good old-fashioned nuts and bolts. HESCO also provides assistance for the engineering development of new items with suggestions for part design and material selection. 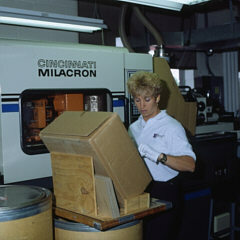 Furthermore, we can produce custom molds, either through use of our in-house tooling department, or in association with one of our outstanding tooling partners. When orders are complete, we can ship one box, one skid, or an entire truckload of parts, all manufactured to your demanding specifications.